As Prime Minister Narendra Modi meets the leaders of three of the five permanent member countries of the United Nations Security Council, including the heads of the US, France and the UK, back home a big development in space research has put India in the elite club of major powers. The country has successfully launched its first dedicated multi wavelength space observatory, ASTROSAT, on Monday, thereby entering the club of select countries – including Japan, US and Russia to have their own space observatories. The development will help the country in getting a more detailed understanding of the universe. ASTROSAT’s unique feature includes simultaneous multi-wavelength observations of various astronomical objects with a single satellite. The satellite can observe the universe in optical, ultraviolet, low and high energy X-ray regions of the electromagnetic spectrum that sets it apart from most other scientific satellites. Many other man-made satellites are capable of observing only a narrow range of wavelength band. The country’s Polar Satellite Launch Vehicle (PSLV), in its thirty-first flight (PSLV-C30), on Monday, launched ASTROSAT into a 644.6 X 651.5 km orbit inclined at an angle of 6 degree to the equator. The achieved orbit is very close to the intended one, according to the information available on the website of Indian Space Research Organisation (ISRO). 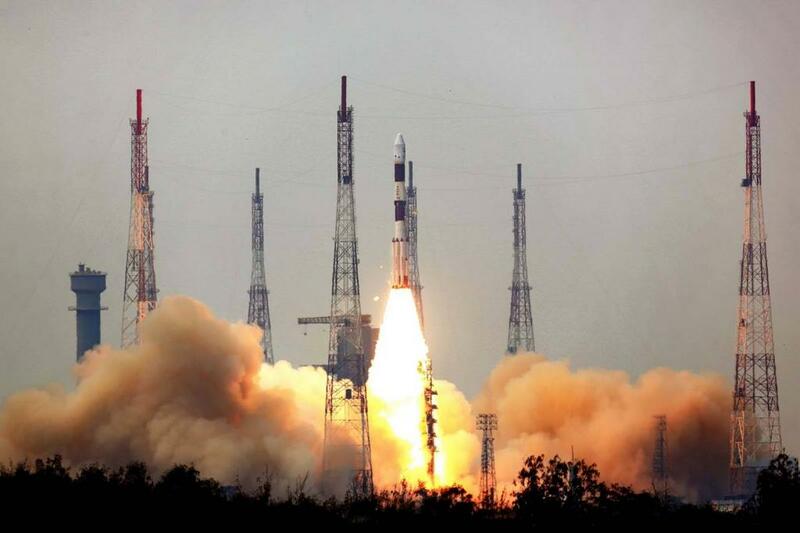 This was the thirtieth consecutive success for PSLV. Celestial objects emit various rays, including X-rays, ultraviolet rays, which cannot penetrate the Earth’s atmosphere. In simple terms, with ASTROSAT, India has sent a set of five telescopes in the space which can observe these various rays simultaneously and help in studying celestial bodies. These multi-wavelength observations made by ASTROSAT can be further extended and enhanced with co-ordinated observations using other spacecraft and ground based information. All major astronomy institutions and some universities in India are likely to participate in these observations. According to Somak Raychaudhury, director, The Inter-University Centre for Astronomy and Astrophysics, ASTROSAT is a very unique satellite with five telescopes which work together to observe the same thing simultaneously thereby adding great value to the study of astrophysics. “It is important in astrophysics to look at an object as a whole to understand it fully. Through ASTROSAT, we can study an object with various telescopes under different circumstances,” he said. Another unique feature of the satellite is that it can detect quick and minute changes that happen in the space and can do so for a very long period. “In space, things flare up and die down within fraction of a second. ASTROSAT can detect those changes which might be difficult for other similar observatories to detect,” he said. Last week, India celebrated the first anniversary of its Mars Orbiter Mission (MOM) or Mangalyaan in the Martian atmosphere. The noteworthy achievements in the field of space technology are not only bringing the country at par with developed nations but also opening up immense opportunities in terms of study and collaboration. Various institutions, including Inter University Centre for Astronomy and Astrophysics (IUCAA) of Pune, Tata Institute of Fundamental Research (TIFR) at Mumbai, Indian Institute of Astrophysics (IIAP) and Raman Research Institute (RRI) of Bangalore, as well as some of the universities in India and two institutions from Canada and the UK collaborated with ISRO for developing ASTROSAT. The PSLV was launched on Monday in its heaviest ‘XL’ version with six strap-on motors of the first stage. The launch took place from the first launch pad at the Satish Dhawan Space Centre SHAR (SDSC SHAR), Sriharikota. Along with Astrosat, six satellites from international customers, namely 76-kg LAPAN-A2 of Indonesia, 14-kg NLS-14 (Ev9) of Canada and four identical LEMUR satellites of USA together weighing about 28 kg, were launched in the PSLV flight. “ASTROSAT will not only help India in better study of celestial objects but also reduce its dependence on foreign telescopes to some extent. Currently, Indian scientists get observing time on foreign telescopes. With this development, India will have its indigenous observatory and can also increase collaborations with other countries,” said Sujan K Sengupta, associate professor, Indian Institute of Astrophysics. The observatory will be used by Indian scientists for the first two years and then it would be opened up for other countries, Raychaudhury said. The spacecraft control centre at Mission Operations Complex of ISRO Telemetry, Tracking and Command Network (ISTRAC) at Bangalore will manage the satellite during its mission life of five years. Asked what happens after the five year span of ASTOSAT ends, Raychaudhury said the team had already started planning its successor. He also added that the five years have been taken as a conservative estimate and the life of the satellite could go beyond that. The scientific objectives of ASTROSAT mission are to understand high energy processes in binary star systems containing neutron stars and black holes, estimate magnetic fields of neutron stars, study star birth regions and high energy processes in star systems lying beyond our galaxy, detect new briefly bright X-ray sources in the sky and perform a limited deep field survey of the universe in the ultraviolet region.